Review on The Arts Desk of the new DVD, Every Picture Tells a Story ! Read the full review by clicking here ! 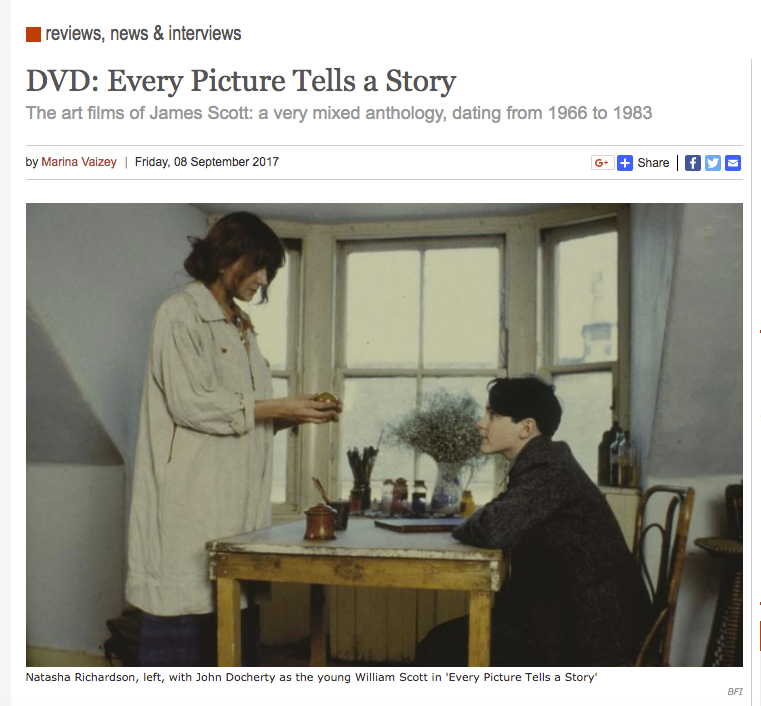 The new DVD/Blu-ray collection of James Scott's films, Every Picture Tells a Story (1984), Love's Presentation (1966), R.B. Kitaj (1967), Richard Hamilton (1969), The Great Ice Cream Robbery (1970), and Chance, History, Art... (1980). "The four films concentrating on particular artists have a great deal to offer." "Scott describes his films about living artists as collaborations." Buy the DVD at a limited-time discount by clicking here !